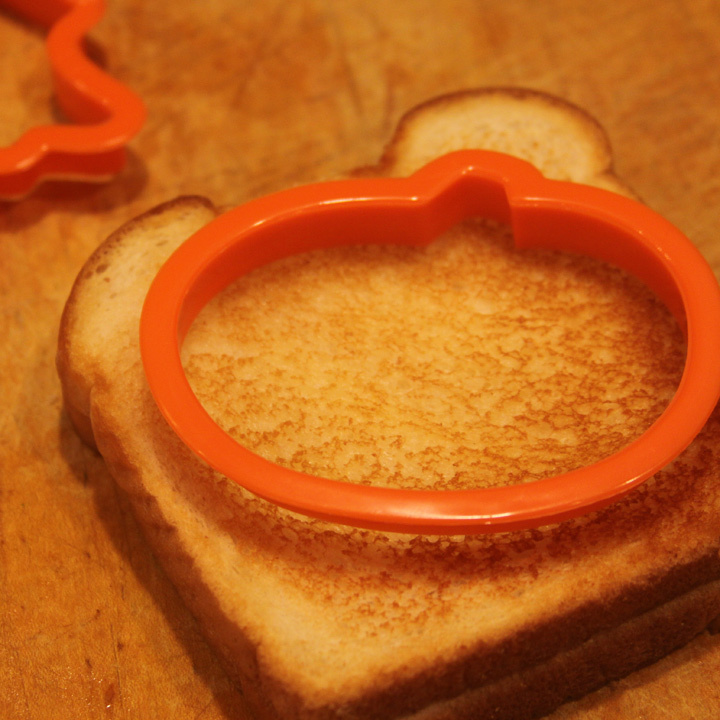 Making a normal grilled cheese and tomato soup lunch can become a howling good time by using some Halloween cookie cutters. 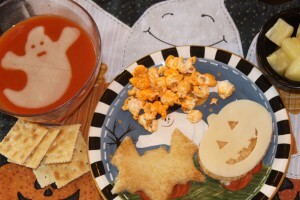 Making lunch fun and exciting around holidays is a little something I love doing for the kids. They were thrilled with this spooktacular lunch. A Halloween take on an old favorite, grilled cheese and tomato soup. 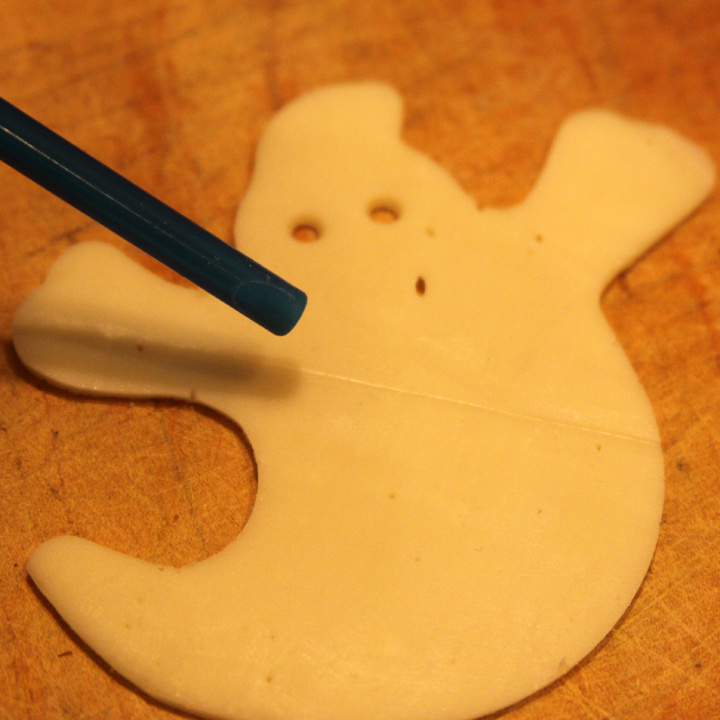 To make the ghost take a piece of provolone cheese and use your cookie cutter to cut out a ghost. I used a straw to punch out little eyes and a mouth. 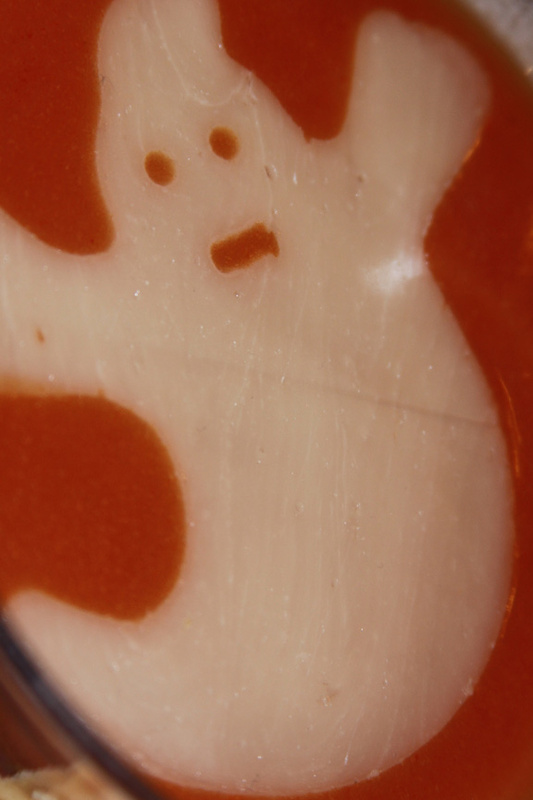 Drop your cheese ghost carefully on top of your tomato soup after you let it cool a little. Make your grilled cheese sandwiches the same was as you always do and cut with a cookie cutter into bats, pumpkins, or ghosts. That is all it takes to make an exciting Halloween themed lunch that you kids won’t be able to resist! Enjoy. Love the ghostly tomato soup- what a fun idea! Thank you! 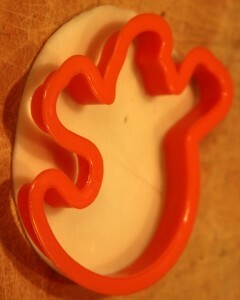 The kiddos LOVED it!